We wish you all a Very Happy New Year and hope that 2017 is a good one for everyone! Thank you for joining us for the Make It Sparkle Challenge and we hope you will all join us again this week too. This week we are showcasing Lindy’s Stamp Gang Products. You don’t have to use them for the challenge but if you have them we would love to see them used. I made a set of cards for the challenge using Mermaid Seashells Magicals set. 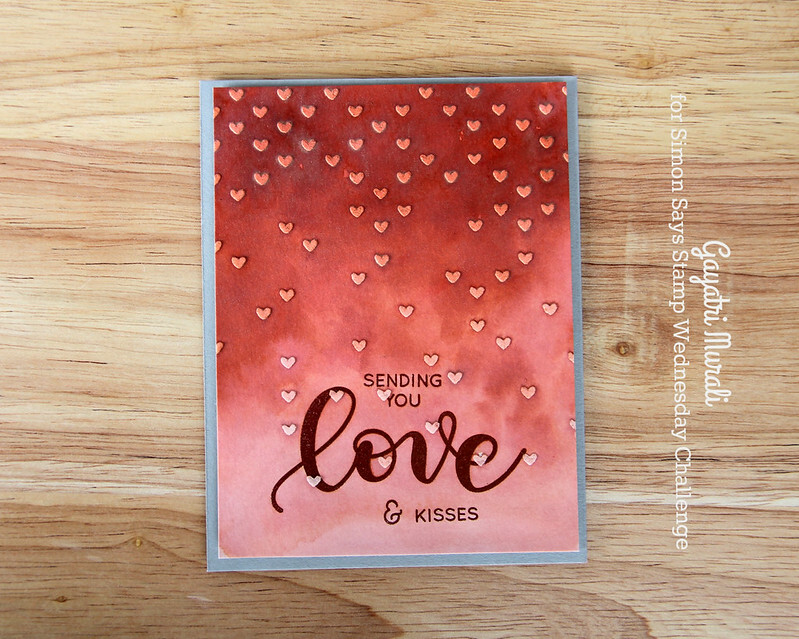 I used the new Simon Says Stamp Kristina’s Love stamp set from Hey love collection and an older stencil also from Simon called Falling Hearts to make my cards. 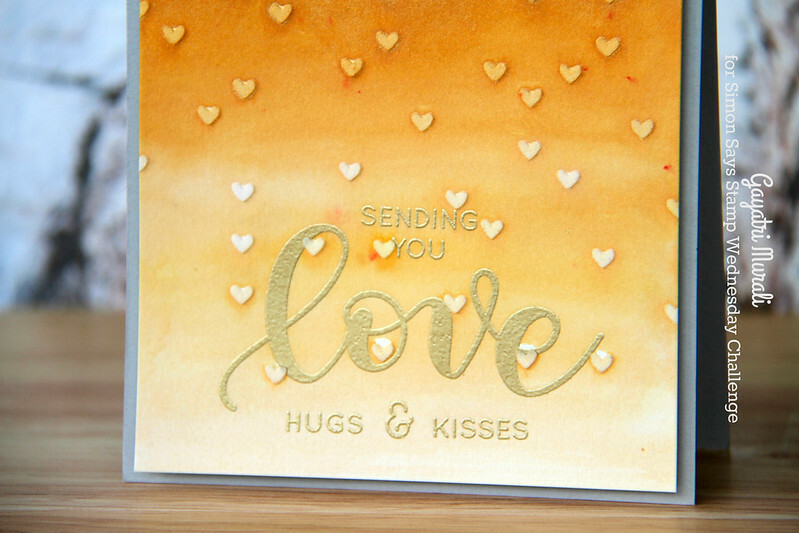 For the first card, I gold heat embossed the sentiment on the bottom of the Bristol panel using Simon’s gold embossing powder. 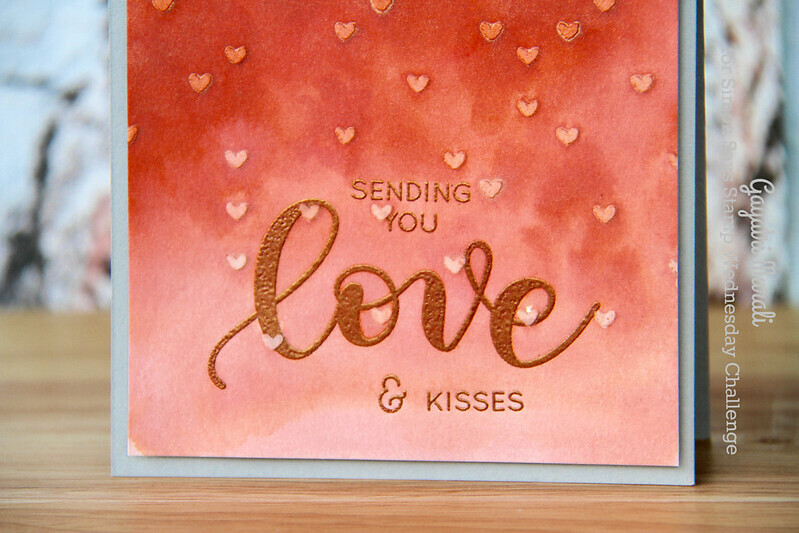 On the second card, I heat embossed the sentiment using Simon’s Rose Gold embossing powder. 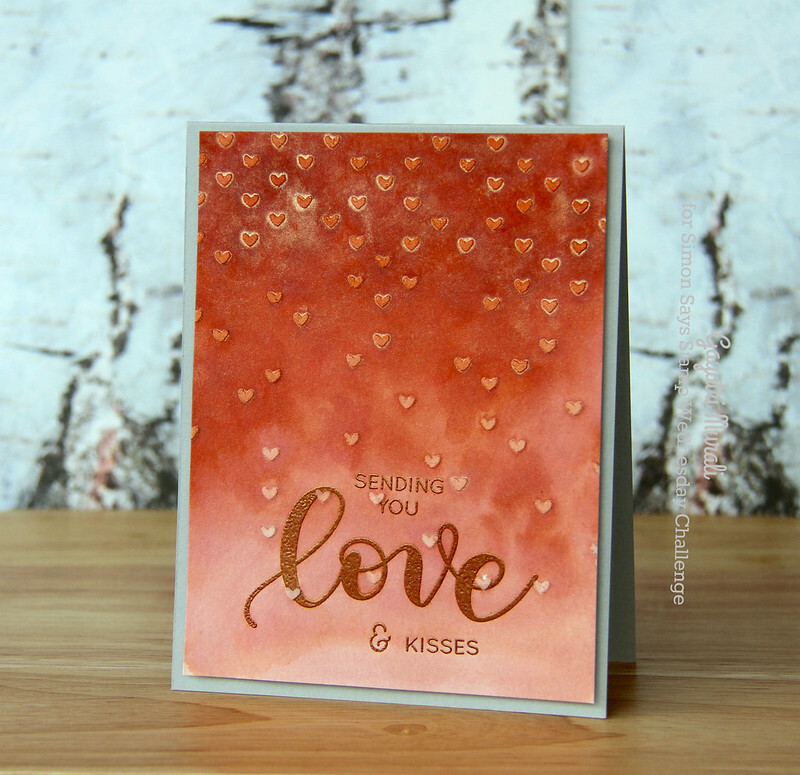 Then I used the Falling Hearts stencil to add embossing paste through out the panel. Once dry, I brushed water on the panels and then the Cockelbells Coral and Glory of Sea Gold pigments made into watercolour by adding water. I brushed two layers drying the first layer to add the second layer. The I trimmed the panel and adhered on Simon’s Slate card base. The shimmer from the Lindy’s Gang pigment powder is gorgeous on the cards. I could not capture on my photos but in real the background is shimmery. Hope you like my cards. Thanks for stopping by my blog today. I am on a holiday and will be away. I have a few posts scheduled. So wishing you all Happy and Healthy New Year 2017!